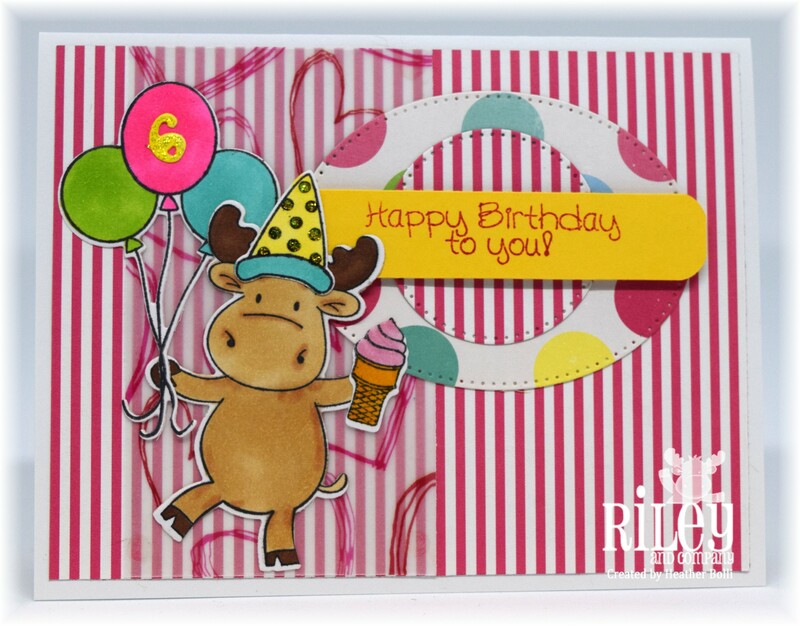 I have a new stamp set in my stash, and it’s the new Dress Up Riley Birthday Accessories from Riley and Company. So, I couldn’t resist sitting down and playing with it a couple days ago. Here’s what I came up with! This first one is for the Paper Craft Crew Tic Tac Toe challenge (#282). 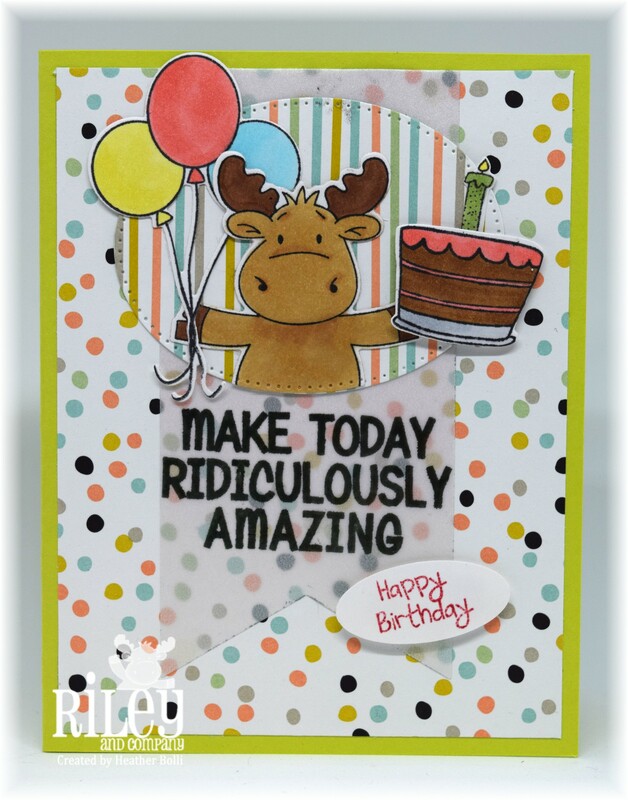 The row I chose was the bottom, Lemon Lime Twist – Vellum – Birthday. The next card I made was for the CAS(E) this Sketch (#261). I rotated the sketch on it’s side to accommodate my rather large sentiment. 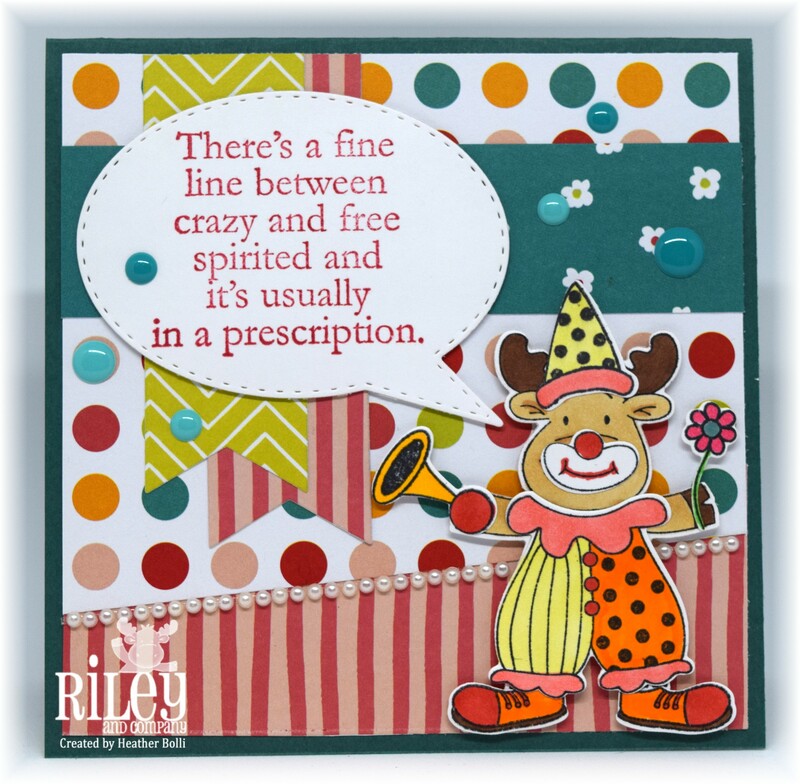 The line across the middle was made with three different colors of distress oxide inks. It turned out EXACTLY like I envisioned! 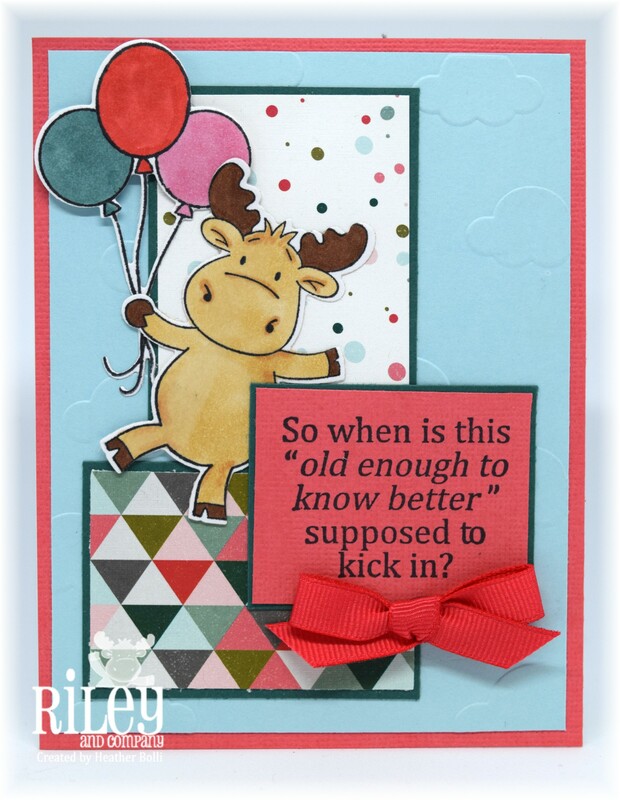 The next card was created using the Atlantic Hearts Sketch Challenge (#253). This card used a sketch, but not a current challenge. It came from the sketch archives of The Deconstructed Sketch (#191). Their sketches are all on their old website, if you’re looking for inspiration. And, this last one was loosely inspired by a SCS sketch, but there are a few elements I moved around, relocated and left off altogether! I LOVE how these cards all turned out. I have a couple other new Riley and Company sets and I can’t wait to pull them out and get creating! Hope you enjoyed my projects today. The little moose is just too cute! 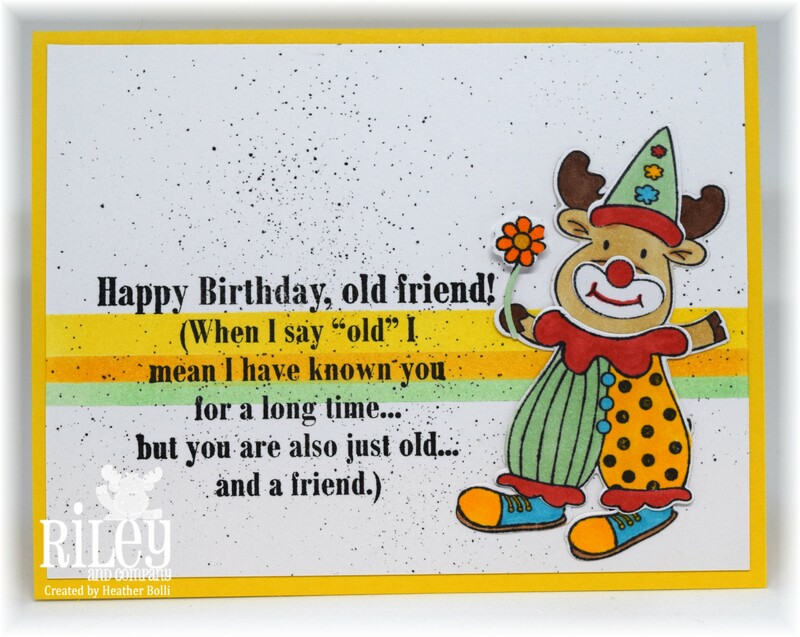 Love the layout of your card. Thanks for playing along at AHSC.